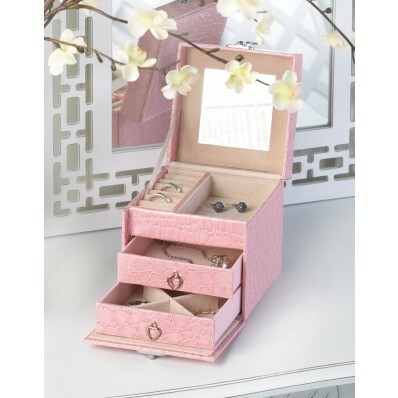 There's no denying the chic styling of this sleek jewelry box. 5¼" high. PVC and inner felt lining.